Barbara Wilson Landscape Architect, LLC is a full service a Landscape Architecture and Design firm that provides our residential, commercial and institutional clients with high quality and appropriate designs which are environmentally responsible, meet the client’s needs and addresses the unique site conditions. Barbara creates unique designs for each client that reflect their needs & desires, their design sensibilities, the project's location and size of the overall project. Through careful planning she can create landscapes that provide year round interest, are deer resistant and are low maintenance. Beyond plantings she can provide designs for any desired amenity (outdoor kitchens, entertainment spaces, pools, tennis courts, patios, fire pits, etc) to enhance the livability of your property. Barbara has over 23 years of experience in the Connecticut and New York area, having worked as a project manager and designer at several well known local Landscape Architecture firms. She provides big firm expertise with small firm pricing and great personalized client relations. "Sharing experiences in gardening & design and incorporating a love for the environment into community is integral to Good Gardens. While the best way to appreciate a garden is to stroll through it, perhaps these snapshots will inspire you to create a good garden, a unique place of your own. Gardens are an ever-changing adventure, never truly finished and forever evolving. The joy is in the process. May you find peace and even a little bit of magic in your own backyard." Karen received a Bachelor of Science in horticulture and environmental sciences from the University of Rhode Island. Her background includes horticultural study abroad in England, with one year as a student at University and one working for Clifton Nurseries, LTD in London. The gardens of Europe continue to provide inspiration for her work today. Foster’s, inc, is a premier landscape & design company that has been creating distinctive landscapes throughout Fairfield County for over two decades. With Foster McKeon at the helm we bring more than a quarter century of landscape expertise to our discriminating customers. The unique and aesthetically stunning landscapes created by Foster’s, inc, transforms ordinary yards into breath-taking oases, offering an atmosphere of natural beauty and lovely views where your family and friends can relax, enjoy the out-of-doors, or entertain in a serene, inviting setting. Hundreds of satisfied customers – including many who have been utilizing our services for over two decades, agree that Foster’s, inc, provides the premier quality landscaping services that they have come to know and expect. 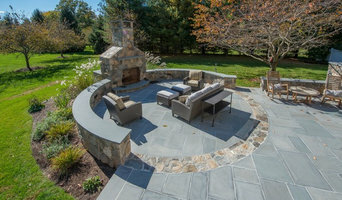 Keith E. Simpson Associates, Inc.
As the hands-on owner of Putnam Landscape Associates, Grant Putnam offers personalized solutions to each client, and guides his team of landscape experts to assure superior service and exquisite results. For over 25 years, we have created, installed & maintained customized landscape designs for discerning residential clients throughout Fairfield and Westchester counties. Grant's design work includes a wide range of garden styles, site-specific designs and appropriate plant selections, resulting in spaces that are as functional as they are beautiful. Plus, Putnam’s unique 3D renderings allow you to visualize the project before work begins. We are family-owned, full-service landscape design-build and maintenance firm and are proud of our work at some of the area’s most stunning properties. 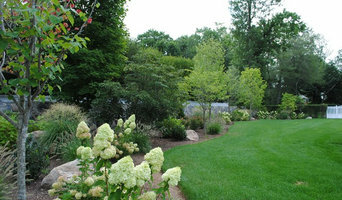 Our firm’s 4-acre irrigated holding yard in Wilton allows us to purchase plants, trees, shrubs, and other materials in bulk, which helps to control costs and make picturesque landscaping attainable for even the most cost-conscious client. TJB is a full service design build Landscape & Drainage Contractor serving clients in South Central New England area. We have had a successful business for over 41 years providing a wide range of landscaping services to my satisfied customers. We specialize in Custom Water Features, Synthetic Putting Greens, All Hardscaping - Traditional & Permeable (walks, patios, pool decks, driveways & retaining walls), Landscape Plantings (Trees, Shrubs, Flowers, Bulbs & Ground Covers), Rainwater Collection Systems (Above Below Ground), Storm Water & Drainage Issues, Seasonal Property Maintenance & Snow Removal. We conduct an in-depth consultation with each client to design the perfect cost-effective solution to match your needs. Our Consultant is there to give you creative insights through the eyes of literally hundreds of professionally designed projects. Call us to see how we can rejuvenate your landscape! If you live in, or plan to visit the local area, we invite you to come by and visit our public display gardens which are open 24/7. We are located @ 12 Crest Way (off Sherman Avenue) in Hamden, Connecticut 06514-1141. Fairfield County's Passionate Landscape Designer | Best of Houzz 2017! 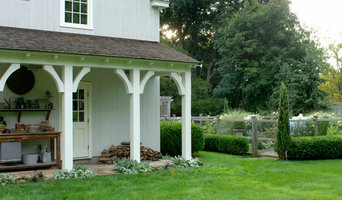 Fairfield County Landscape Architect 5 x BEST OF HOUZZ WINNER! Free 1-HR Consultation For New Clients! The work of this outdoor professional includes most everything surrounding a home's exterior. A landscaping architect can even work with the home architect to choose the right spot for your Norwalk, CT house. From there the Norwalk landscaper will develop preliminary concepts for your front or backyard design based on individual needs including the climate and activities that will take place, as well as layouts and planting plans. Landscape architects will also design any structures or outbuildings that will be added to the space. Any grading changes that will be added to the yard are also the responsibility of the architect. This includes any drainage modifications. An engineer can also be responsible for these tasks, but licensed Connecticut landscapers are fully capable. Like building architects, they will produce preliminary concept drawings as well as detailed construction documents and planting plans. Three-dimensional renderings and illustrative plans are all supplementary. A Norwalk landscaping designer generally will have ecological, aesthetic and technical training, which helps them maximize the potential of your outdoor space. Keeping in mind both style and functionality, garden designers analyze your architecture and yard to produce a plan that may or may not include location and materials for walkways, patios, water features, fences, garden aspects and more. In addition, a landscaper in Norwalk, CT will carefully assess your geographic region to choose plants, trees and flowers that will flourish naturally, as well as address concerns such as drainage, screening and soil conditions. Certain landscape designers only help with the planning portion, while some may deliver the plans and then oversee a hired landscaping contractor. Others — typically following a design-build approach — take care of both the design and all aspects of the landscape architecture and construction. Find a Norwalk landscape architect on Houzz. 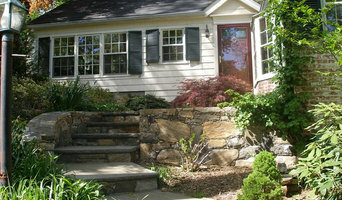 Narrow your search in the Professionals section of the website to Norwalk, CT landscape architects and designers. You can also look through Norwalk, CT photos to find a space you like, then contact the professional who posted the photo.